They are not meant just for Catholics or Christians, but for everyone. Our Lady says, "I have come to tell you God exists and that He loves you." Since June 24, 1981, the Blessed Virgin Mary, mother of Jesus Christ, has been appearing in apparition at Medjugorje and giving verbal messages to six Croatian teenagers. The messages, while first directed to the visionaries and then the people of the village, are meant for all of the people of the world. In the first 33 months of the apparitions, the messages served as “teaching” lessons and laying out the general purpose of the Blessed Virgin’s appearance in the village. “I have come to tell you God exists and that He loves you.” wthe first message she gave the children on June 25, 1981. 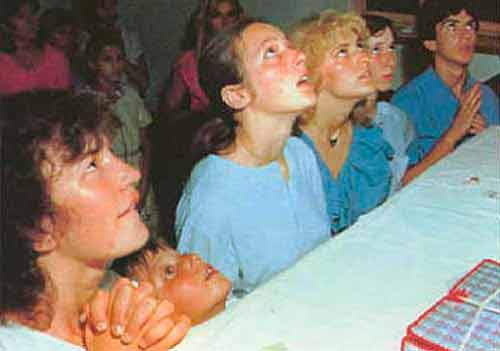 Later, she said she would appear to each of them and over a period of time and give them ten special future event messages (referred by most followers of Medjugorje as secrets) that would have to do with major happenings in the world that would occur after her last apparition at Medjugorje. Presently, three of the six visionaries have received all 10 secrets and no longer have daily apparitions. However, the Blessed Virgin promised that she would appear to those visionaries who have received all ten secrets at least one time each succeeding year. 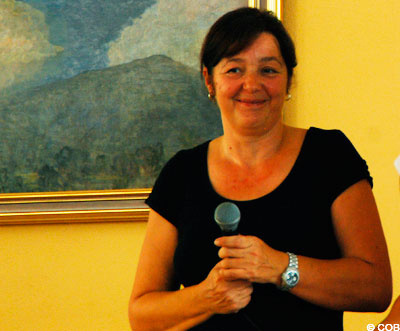 Visionary Mirjana was the first to receive the tenth secret. Her daily apparitions ended Christmas day, 1982. The Virgin told her that she would appear to her annually on March 18, beginning in 1983. However, on March 2, 1987, the Blessed Virgin Mary began speaking to Mirjana by way of inner locution. Later, the locutions became apparitions again that were at first private for the visionary and her family, and later became public. Mirjana continues to see the Blessed Virgin now on the second day of each month, an event that draws thousands each time it occurs. Visionary Ivanka received the tenth secret on May 7, 1985; she now has her annual apparition on the anniversary day of the apparitions, June 25. Jakov was given the 10th secret on September 11, 1998 and has his annual apparition on Christmas Day, December 25. April 02 to Mirjana: "Dear children, as a mother who knows her children, I know that you are crying out for my Son. I know that you are crying out for truth, for peace, for that which is pure and not deceptive. That is why I, as a mother, through the love of God, am addressing you and calling you that, by prayer and a pure and open heart within yourselves, you may come to know my Son - His love, His merciful heart. My Son saw beauty in all things. He seeks the good in all souls-even that which is little and hidden-so as to forgive evil. Therefore, my children, apostles of my love, I am calling you to adore Him, to ceaselessly give Him thanks, and to be worthy. Because He has spoken to you divine words, the words of God, the words which are for all and forever. Therefore, my children, live joy, radiance, unity and mutual love. This is what you need in today's world. In this way you will be apostles of my love. In this way you will witness my Son in the right way. Thank you"
March 25 message to Marija: "Dear children! This is a time of grace. As nature renews itself for a new life, you also are called to conversion. Decide for God. Little children, you are empty and do not have joy, because you do not have God. Therefore pray until prayer becomes your life. In nature seek God who created you, because nature speaks and fights for life and not for death. Wars are reigning in hearts and nations, because you do not have peace and you do not see, little children, a brother in your neighbor. Therefore return to God and to prayer. Thank you for having responded to my call." 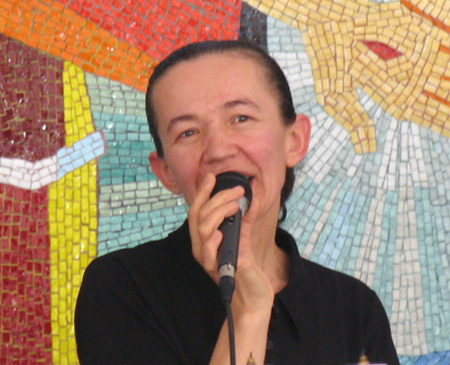 March 02 to Mirjana: Dear children, I call you ‘apostles of my love’. I am showing you my Son who is the true peace and the true love. As a mother, through the mercy of God, I desire to lead you to Him. My children, this is why I am calling you to reflect on yourselves, starting out from my Son, that you look to Him with the heart and that you may see with the heart where you are and where your life is going. My children, I am calling you to comprehend that it is, thanks to my Son, that you live – through His love and sacrifice. You are asking of my Son to be merciful to you and I am calling you to mercy. You are asking of Him to be good to you and to forgive you, and for how long am I imploring you, my children, to forgive and to love all the people whom you meet? When you comprehend my words with the heart, you will comprehend and come to know the true love and you will be able to be apostles of that love, my apostles, my dear children. Thank you. February 25 message to Marija: Dear children! Today, I am calling you to a new life. It is not important how old you are, open your heart to Jesus who will transform you in this time of grace and, like nature, you will be born into a new life in God’s love, and you will open your heart to Heaven and the things of Heaven. I am still with you, because God permitted me out of love for you. Thank you for having responded to my call. 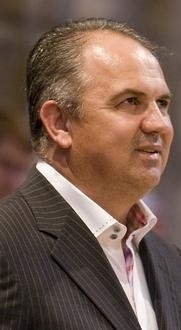 February 02 message to Mirjana: “Dear children! The love and goodness of the Heavenly Father give revelations, which make faith grow, for it to be interpreted, that it may bring peace, certainty and hope. In this way, I, too, my children-through the merciful love of the Heavenly Father-always, anew, am showing you the way to my Son, to eternal salvation. But, unfortunately, many of my children do not want to hear me; many of my children are of two minds. And I always, in time and beyond time, magnified the Lord for all that He has done in me and through me. My Son gives Himself to you and breaks the bread with you. He speaks the words of eternal life to you so that you may carry them to everyone. And you, my children, apostles of my love, what are you afraid of when my Son is with you? Offer your souls to Him so that He can be in them and that He can make you instruments of faith, instruments of love. My children, live the Gospel, live merciful love for your neighbors, and, above all, live love for the Heavenly Father. My children, you are not united by chance. The Heavenly Father does not unite anyone by chance. My Son speaks to your souls. I speak to your heart. As a mother I am saying to you: set out with me, love one another, give witness. Do not be afraid, with your example, to defend the truth-the Word of God which is eternal and never changes. My children, whoever acts in the light of merciful love and truth is always helped by Heaven and is not alone. Apostles of my love, may you always be recognized among all others by your hiddenness, love and radiance. I am with you. Thank you. January 25 message to Marija: “Dear children! Today, as a mother, I am calling you to conversion. This time is for you, little children, a time of silence and prayer. Therefore, in the warmth of your heart, may a grain of hope and faith grow and you, little children, will from day to day feel the need to pray more. Your life will become orderly and responsible. You will comprehend, little children, that you are passing here on earth and you will feel the need to be closer to God, and with love you will witness the experience of your encounter with God, which you will share with others. I am with you and am praying for you but I cannot without your 'yes'. Thank you for having responded to my call." January 02 message to Mirjana: Dear children! Sadly, among you, my children, there is so much battle, hatred, personal interests and selfishness. My children, so easily you forget my Son, His words, His love. Faith is being extinguished in many souls, and hearts are being grasped by material things of the world. But my motherly heart knows that there are still those who believe and love, who are seeking how to draw all the closer to my Son, who are tirelessly seeking my Son - then, in this way, they are also seeking me. These are the humble and the meek with their pain and suffering which they carry in silence with their hopes and, above all, with their faith. These are the apostles of my love. My children, apostles of my love, I am teaching you that my Son is not only asking for continuous prayers, but also for works and feelings - that you believe, that you pray, that with your personal prayers you grow in faith, that you grow in love. To love each other is what He asks for - that is the way to eternal life. My children, do not forget that my Son brought the light to this world, and He brought it to those who wanted to see it and receive it. You be those, because this is the light of truth, peace and love. I am leading you in a motherly way to adore my Son; that you love my Son with me; that your thoughts, words and actions may be directed to My Son - that they may be in His name. Then my heart will be fulfilled. Thank you. December 25 annual apparition to Jakov: Dear children, on this day of grace, I am calling you to love. Little children, God loves you immeasurably and that is why, little children, full of trust and without looking back and without fear, completely surrender your hearts to Him so that God may fill them with His love. Do not be afraid to believe in His love and mercy, because His love is stronger than every one of your weaknesses and fears. Therefore, my children, full of love in your hearts, trust in Jesus and say your ‘yes’ to Him, because He is the only way which leads you to the Eternal Father. December 25 message to Marija: Dear children! I am carrying to you my Son Jesus who is the King of Peace. He gives you peace and may it not be only for you but, little children, carry it to others in joy and humility. I am with you and am praying for you in this time of grace which God desires to give you. My presence is a sign of love here while I am with you to protect you and lead you towards eternity. Thank you for having responded to my call. December 02 message to Mirjana: Dear children, when you come to me, as to a mother, with a pure and open heart, know that I am listening to you, encouraging you, consoling you and, above all, interceding for you with my Son. I know that you desire to have a strong faith and to express it in the right way. What my Son asks of you is to have a sincere, strong and deep faith – then every way in which you express it is proper. Faith is a most wonderful mystery which is kept in the heart. It is between the Heavenly Father and all of His children; it is recognized by the fruits and by the love which one has towards all of God's creatures. Apostles of my love, my children, have trust in my Son. Help all of my children to come to know His love. You are my hope – you who strive to sincerely love my Son. In the name of love, for your salvation, according to the will of the Heavenly Father and through my Son, I am here among you. Apostles of my love, along with prayer and sacrifice, may your hearts be illuminated with the love and the light of my Son. May that light and love illuminate all those whom you meet and bring them back to my Son. I am with you. In a special way, I am alongside your shepherds. With my motherly love, I illuminate and encourage them that, with the hands blessed by my Son, they may bless the entire world. Thank you. November 25 message to Marija: Dear children! This is a time of grace and prayer, a time of waiting and giving. God is giving Himself to you that we may love Him above everything. Therefore, little children, open your hearts and families, so that this waiting may become prayer and love and, especially, giving. I am with you, little children, and encourage you not to give up from what is good, because the fruits are seen and heard of afar. That is why the enemy is angry and uses everything to lead you away from prayer. Thank you for having responded to my call. 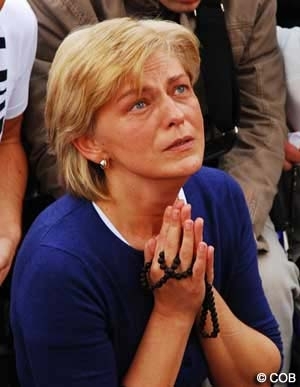 November 02 message to Mirjana: "Dear children, My motherly heart suffers as I am looking at my children who do not love the truth, those who are hiding it-as I look at my children who do not pray with their feelings and actions. I am sad as I am saying to my Son that many of my children no longer have faith, that they do not know Him-my Son. That is why I call you, apostles of my love: you strive to look to the very depth in human hearts and there you are certain to find the little hidden treasure. To look in this way is mercy from the Heavenly Father. To seek the good even where there is the greatest evil-to strive to comprehend each other and not to judge-that is what my Son is asking of you. And I, as a mother, am calling you to listen to Him. My children, the spirit is mightier than the flesh, and, carried by love and actions, it overcomes all obstacles. Do not forget: my Son has loved you and loves you. His love is with you and in you when you are one with Him. He is the light of the world and no one and nothing will be able to stop Him in the final glory. Therefore, apostles of my love, do not be afraid to witness the truth. Witness it with enthusiasm, with works, with love, with your sacrifice, and, above all, in humility. Witness the truth to all those who have not come to know my Son. I will be alongside you. I will encourage you. Witness the love which never ends because it comes from the Heavenly Father who is eternal and who offers eternity to all of my children. The spirit of my Son will be alongside you. Anew I am calling you, my children: pray for your shepherds, pray that the love of my Son may lead them. Thank you." October 25 message to Marija: "Dear children! You have a great grace of being called to a new life through the messages which I am giving you. This, little children, is a time of grace, a time and a call to conversion for you and the future generations. Therefore, I am calling you, little children, pray more and open your heart to my Son Jesus. I am with you and love you all and bless you with my motherly blessing. Thank you for having responded to my call." September 25 message to Marija: "Dear children! Also nature extends signs of its love to you through the fruits which it gives you. Also, you, by my coming, have received an abundance of gifts and fruits. Little children, how much you have answered to my call, God knows. I am calling you - it is not late - decide for holiness and a life with God, in grace and in peace. God will bless you and give to you a hundred-fold, if you trust in Him. Thank you for having responded to my call." September 02 message to Mirjana: "Dear children, My words are simple but are filled with motherly love and care. My children, all the more the shadows of darkness and deception are being cast over you, and I am calling you to the light and truth—I am calling you to my Son. Only He can transform despair and suffering into peace and clarity; only He can give hope in the deepest pain. My Son is the life of the world. The more that you come to know Him—the more that you come close to Him—all the more you will love Him, because my Son is love. Love changes everything; it makes most beautiful also that which, without love, seems insignificant to you. That is why, anew, I am saying to you that you must love a lot if you desire to grow spiritually. I know, apostles of my love, that it is not always easy, but, my children, also the painful paths are paths which lead to spiritual growth, to faith, and to my Son. My children, pray—think of my Son. In all the moments of the day, raise your soul to Him, and I will gather your prayers as flowers from the most beautiful garden and give them as a gift to my Son. Be true apostles of my love; spread the love of my Son to everyone. Be gardens of the most beautiful flowers. With your prayers help your shepherds that they may be spiritual fathers filled with love for all people. Thank you." August 25 message to Marija: "Dear children! This is a time of grace. Little children, pray more, speak less and permit God to lead you on the way of conversion. I am with you and love you with my motherly love. Thank you for having responded to my call." July 25 message to Marija: "Dear children! God called me to lead you to Him because He is your strength. That is why I am calling you to pray to Him and to trust in Him, because He is your refuge from every evil that lurks and carries souls far from the grace and joy to which you are all called. Little children, live Heaven here on earth so that it will be good for you; and may the commandments of God be a light on your way. I am with you and I love you all with my motherly love. Thank you for having responded to my call." June 25 message to Marija the 37th Anniversary of the Apparitions: "Dear children! This is the day that the Lord gave me to give Him thanks for each of you, for those who have converted and have accepted my messages and have set out on the way of conversion and holiness. Rejoice, little children, because God is merciful and loves you all with His immeasurable love and leads you to the way of salvation through my coming here. I love you all and give you my Son that He may give you peace. Thank you for having responded to my call." April 25 message to Marija: Dear children! Today I am calling you to live your new life with Jesus. May the Risen One give you strength to always be strong in the trials of life and to be faithful and persevering in prayer; because Jesus saved you by His wounds and by His Resurrection gave you new life. Pray, little children, and do not lose hope. May joy and peace be in your hearts and witness the joy that you are mine. I am with you and love you all with my motherly love. Thank you for having responded to my call. April 02 message to Mirjana: “Dear children, through the great love of the Heavenly Father I am beside you as your mother and you are beside me as my children, as apostles of my love whom I ceaselessly gather around me. My children, you are those who, along with prayer, need to completely surrender to my Son so that you may no longer live but my Son may live in you - so that all those who do not know my Son may see Him in you and come to desire to know Him. Pray that in you they may see resolute humility and goodness, a readiness to serve others; that in you they may see that you live your vocation in the world with the heart, in communion with my Son; that in you they may see meekness, tenderness and love for my Son as well as for all brothers and sisters. Apostles of my love, you must pray much and cleanse your hearts so that you may be the first to walk on the way of my Son, that you may be the just who are united with the justice of my Son. My children, as apostles of my love, you must be united in the communion which emanates from my Son, so that my children who do not know my Son may recognize the communion of love and may come to desire to walk on the way of life, the way of unity with my Son. Thank you. March 25 message to Marija: Dear children! I am calling you to be with me in prayer in this time of grace when darkness is fighting against the light. Pray, little children, confess and begin a new life in grace. Decide for God and He will lead you towards holiness; and the cross will be a sign of victory and hope for you. Be proud that you are baptized and grateful in your heart that you are a part of God’s plan. Thank you for having responded to my call. February 25 message to Marija: Dear children! In this time of grace I am calling all of you to open yourselves and to live the commandments which God has given you, that they may lead you through the Sacraments on the way of conversion. The world and worldly temptations are testing you, but you, little children, look at God’s creatures which He has given to you in beauty and humility and, little children, love God above everything and He will lead you on the way of salvation. Thank you for having responded to my call. January 25 message to Marija: Dear children! May this time be for you a time of prayer, so that the Holy Spirit, through prayer, may descend upon you and give you conversion. Open your hearts and read the Sacred Scripture, that through the testimonies you also may be closer to God. Above everything, little children, seek God and the things of God and leave earthly ones to the earth, because Satan is attracting you to the dust and sin. You are called to holiness and created for Heaven; therefore, seek Heaven and the things of Heaven. Thank you for having responded to my call. January 02 message to Mirjana: "Dear children, when love is beginning to disappear on earth, when the way of salvation is not being found, I, the mother, am coming to help you to come to know true faith - living and profound - so as to help you to truly love. As a mother, I am longing for your mutual love, goodness, and purity. My desire is that you be just and that you love each other. My children, be joyful in your soul, be pure, be children. My Son used to say that he loves to be among pure hearts, because pure hearts are always young and joyful. My Son said to you to forgive and to love each other. I know that this is not always easy. Suffering makes you grow in spirit. For you to spiritually grow all the more, you must sincerely and truly forgive and love. Many of my children on earth do not know my Son, they do not love Him; but you who do love my Son, you who carry Him in your heart, pray, pray and in praying feel my Son beside you. May your soul breathe in His spirit. I am among you and am speaking about little and great things. I will not grow tired speaking to you about my Son - the true love. Therefore, my children, open your hearts to me. Permit me to lead you as a mother. Be apostles of the love of my Son and of me. As a mother I implore you not to forget those whom my Son has called to lead you. Carry them in your heart and pray for them. Thank you."